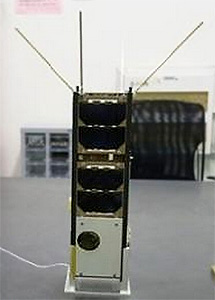 NJFA is a 3U-CubeSat in the TW 1 (Tianwang) constallation consisting of three CubeSats for space networking experiments. NJFA 1 was developed and built at the Shanghai Engineering Center for Microsatellites (SECM). The three satellites will test inter-satellite communication sessions using the GAMALINK tchnology developed by Tekever.